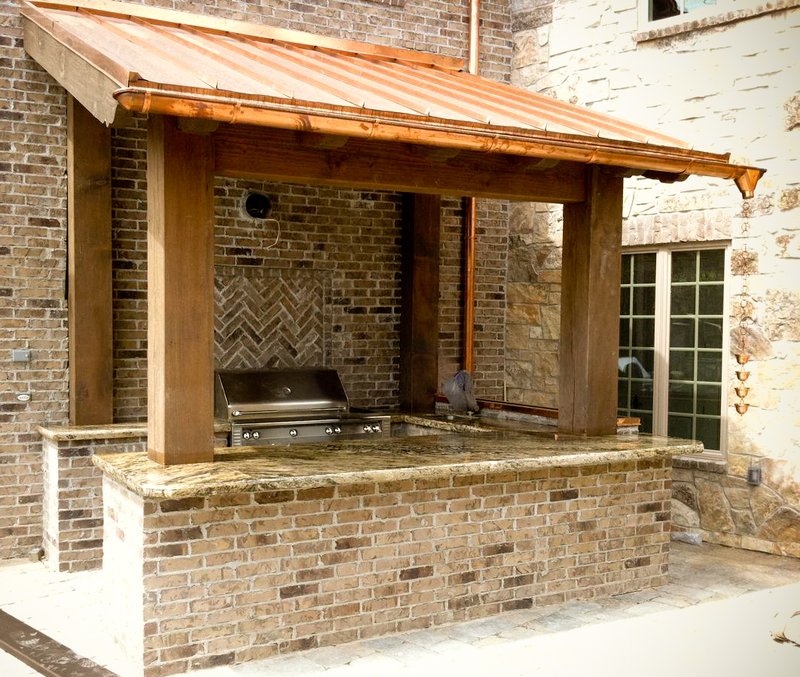 We recently completed this Outdoor Barbeque and Pool House in Utah county. 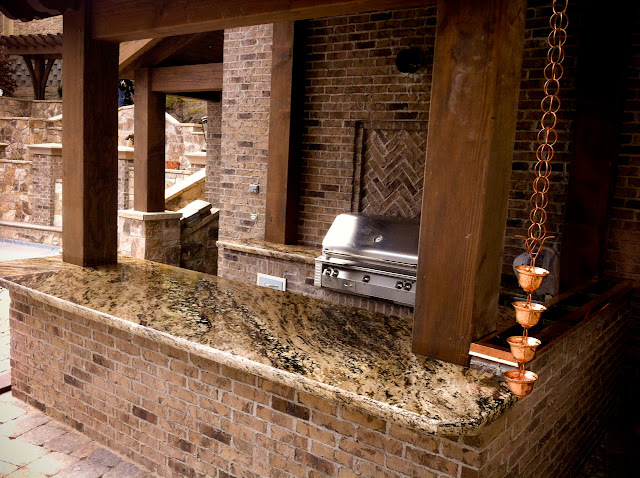 The BBQ countertops are Golden Thunder granite with a 2 1/2" Half Moon edge detail. 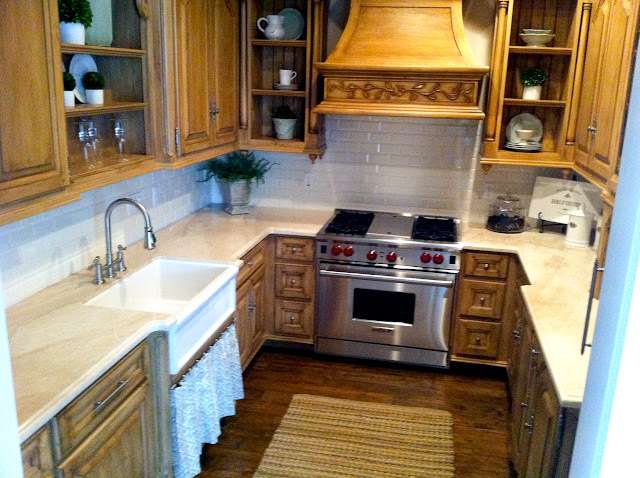 This is the Kitchen in the Pool House. The countertops are Daino Reale marble with an Ogee edge detail.